Lopsided trades happen all the time. In fact, it’s the very nature of trading that a large percentage of swaps involve one team getting significantly more in return than the other team. Even completely one-sided deals—the ones that cause guys like me to express amazement that such a thing could take place as a result of negotiations between two people who are paid to run major-league baseball teams—happen relatively often. However, there’s a particular subset of unbalanced trades that still occurs infrequently. These are the trades that not only look unfair from the moment they take place, but look so out of whack that it’s difficult to even conceive of what one general manager was thinking during negotiations (or how the other general manager kept a straight face). These are the trades that would get vetoed in any self-respecting fantasy league in the country. What sets this specific kind of lopsided deal apart from all the rest is that there’s zero hindsight needed to know that it was a colossal mistake. There are plenty of trades that become one-sided once they’ve had time to play out—for instance, Joe Nathan, Francisco Liriano, and Boof Bonser for A.J. Pierzynski—but rarely can you point to a trade the moment it’s made and label it a sure-fire disaster. “Disaster trades” only happen once every few years, but what’s amazing is that they typically end up looking even worse than expected very quickly. The last example of a legitimate disaster trade that I can think of was the Mets swapping 20-year-old elite pitching prospect Scott Kazmir to the Devil Rays for 28-year-old Victor Zambrano and his 4.47 career ERA. At the time of the trade, the vast majority of Mets fans had trouble even coming up with a plausible line of thinking to even approach justifying the deal, and it became an instantaneous punchline. The Mets just traded for a soon-to-be 29-year-old pitcher with severe control issues who has never had an ERA below 4.00 as a starter in the major leagues. And what did they give up for him? Here’s where this deal gets crazy … They gave up one of the best—and perhaps the best—pitching prospect in all of baseball, Scott Kazmir. The idea that Scott Kazmir was just sent from the Mets to the Devil Rays in a trade that revolved around Victor Zambrano is enough to make you wonder whether or not you’re following the same game as some of the people in charge of actually making these decisions. And as difficult as it may be to believe after re-visiting my initial reaction, the deal became a true disaster trade by looking even worse for the Mets than expected almost immediately. Kazmir made it to the big leagues within weeks and quickly emerged as one of baseball’s top young starters, while Zambrano continued to pitch like he had in Tampa Bay and then struggled with arm problems. I bring this up because the Reds completed a disaster trade yesterday, sending Austin Kearns, Felipe Lopez, and Ryan Wagner to the Nationals for Gary Majewski, Bill Bray, Royce Clayton, Brendan Harris, and Daryl Thompson. Any trade with that many players involved is difficult to break down, but think of it this way: Cincinnati essentially sent its starting right fielder and starting shortstop—both solid young players making reasonable salaries—to Washington for two middle relievers, a 36-year-old no-hit shortstop, a potential utility man, and a Single-A pitcher who’s been injured most of the year. Honestly, if you’d have told me the Devil Rays traded Zambrano to the New York Mets for just Joselo Diaz, I would have thought that made sense. A mediocre, 28-year-old starting pitcher for a mediocre-but-intriguing 24-year-old prospect? Yeah, that seems about right. Similarly, if you’d have told me that the Reds traded either Kearns or Lopez for those same five Nationals, it would have seemed somewhat reasonable. That they parted with both of them—along with Wagner—is difficult to comprehend. Dealing Kearns and Lopez for spare parts will never haunt the Reds like dealing Kazmir may haunt the Mets, because Kearns and Lopez are merely solid players while Kazmir has superstar potential. However, in terms of an overall exchange of talent—both short term and long term—this trade is about as lopsided as it gets. Kearns and Lopez are both 26-year-old former first-round picks who aren’t eligible for free agency until after the 2008 season. They’re also both somewhat enigmatic, but for different reasons. Kearns has never played more than 112 games in a season, but he’s a good defensive outfielder who came into this season as a career .266/.360/.461 hitter and has batted .274/.351/.492 this year while missing just two games. Lopez had a big year in 2005, hitting .291/.352/.486 with 23 homers, but his production has dropped off this season and he struggles defensively at shortstop. They’re far from perfect players, but Kearns and Lopez are already above-average regulars entering their peaks years. 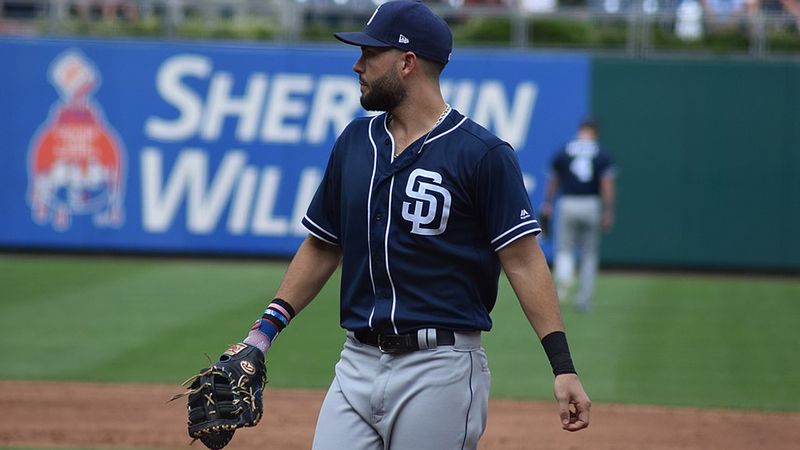 Kearns ranks fourth among NL right fielders in Value Over Replacement Position, while Lopez ranks sixth among NL shortstops even in a disappointing year (and led NL shortstops in VORP last season). Majewski and Bray are quality relievers and the Reds certainly need bullpen help, but this appears to be a case of first-year general manager Wayne Krivsky panicking and overpaying for middle-relief help. The Reds’ strength is their offense, which led the NL in scoring last season and ranks third this season. They have the outfield depth to adequately replace Kearns with Chris Denorfia or Ryan Freel, but they’ll be suffering a huge drop-off at shortstop. With Lopez manning the position, the Reds ranked second and fourth among NL teams in shortstop production over the past two years. Krivsky has been on the job for about half a year, but he’s already traded for two of this era’s worst hitters in Clayton and Juan Castro. Now those two will split playing time in place of Lopez. The best-case scenario for the Reds is that Majewski and Bray help stabilize what has been a brutal bullpen, the Clayton-Castro duo offsets some of the offense lost by providing better defense than Lopez, and Harris and Thompson develop into useful role players. Unfortunately, competent middle relief isn’t really something to pay a premium for, there’s little to suggest that Clayton and Castro are quality defenders despite what their long-expired reputations might have you believe, and Kearns and Lopez are good enough to make the deal look horrible even if everything breaks right for Cincinnati. This is a classic example of trying to patch up one hole while opening up several others in the process, and the end result is Cincinnati trading dollar-bills for a whole bunch of loose change. Giving up players like Kearns and Lopez is one thing, but giving them up for such a pathetic return is an entirely different story. What makes this trade particularly interesting is that the general manager doing the fleecing, Jim Bowden, hasn’t exactly been known for being the most shrewd decision-maker in the past. All of which is another way that yesterday’s deal is similar to the Kazmir-for-Zambrano swap, where much-maligned (and since fired) general manager Chuck Lamar shocked everyone by actually ripping someone else off for a change. Back then I wrote that the Devil Rays “shocked the hell out of me by not only making a smart trade, but actually robbing another team blind.” I feel much the same way about Bowden and the Nationals today.